Will Any Of Our Players Want To Leave In January? Rotherham United Manager Paul Warne won’t be wanting to lose any players when the January transfer window comes around. The Millers have a number of players on loan including regular first team players goalkeeper Marek Rodak, defenders Zak Vyner and Sean Raggett and midfielders Richie Towell and Ryan Manning and he will be hoping that their parent clubs won’t be asking for any of them back. He will also be thinking about who he might want to fetch in but told iFOLLOW that he will only be fetching people in who are going to play and is better than the first eleven he already has. As a group the players are now used to each other and are playing as a team and I always think that the ones who leave other clubs in January do so because they haven’t been getting game time. 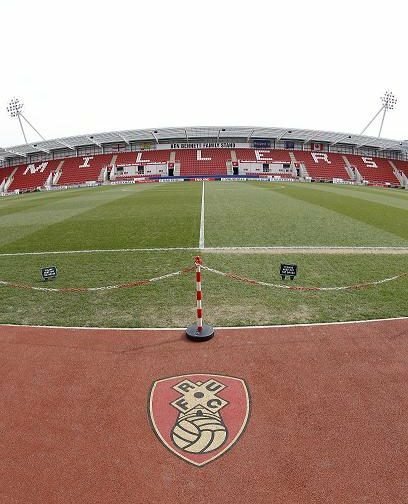 Now, that is understandable I suppose with the top seven or eight teams in the Premier League and those players not making their first teams could be an asset to anyone – but that asset will come at a price and I can’t see Rotherham United being able to afford that price. Any other clubs who are trying to off load players who aren’t getting any playing time with the first time I can only surmise that there is a reason for that and that player probably isn’t who we want at the New York Stadium. Of course, the Millers also have their own players out on loan and it could be that Warney might want to fetch some of those back or it could be that the clubs they are at put in a bid for them and they could leave. Personally, I’d be amazed if any of the current players who are involved in the first team would ask to move on. But, then again, what did Greavsie say? ‘It’s a funny old game’.